A handbag is very special to woman. Without realizing we do share a bond with it. Not an emotional bond, but one that carries all the baggage literally! Our bag goes through the day holding on to a lot of things, that’s close to us and to keep it organized is nothing less than a task! If you are a stickler for all things organized and want to keep your handbag neat and clean, to avoid the trouble of finding your keys and coins, follow these do’s, our guide on simple ways to organize your handbag. 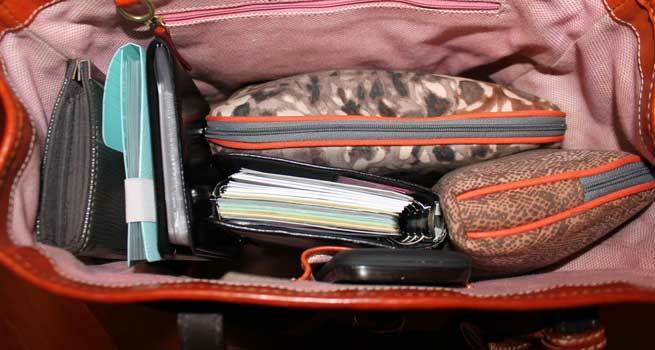 Empty your handbag: First and foremost empty your handbag, to clear it of clutter. Discard all unwanted items, old tickets, unnecessary bills basically anything that is adding to the clutter. Next, make a pile of all things you need. Minimalism of your make-up box: When it comes to make-up, you will always want to carry your wardrobe along, but remember that’s not possible. Carry only essentials. Also, for everyday makeup for easy carry, purchase travel kits readily available. They are light- weight and extremely easy to carry and maintain. Store your make-up essentials such as lip gloss, lipsticks, nail polish, mascara, liner, bronzer, primer, foundation, makeup remover one of each in a makeup bag all together. Keep hair pins, spray, and ties in a separate zip-lock bag. Arrange your money bag: All the loose coins need to go in a separate coin purse and make sure they don’t float around. Keep your wallet only for notes and cards. So that when you need them in a hurry, you have a quick access to them. General Gadgets: Keep your phones, headphones, iPods, iPads in a section of your purse specifically for them. Use hair elastic to secure your headphones. This way the gadgets stay safe from any spilling or scratching. Keys Go Safe: Almost all handbags come with a built in section to store your keys. Keys are small and there’s a tendency to loose them easily in the handbag mayhem. To avoid the hide and week game with the keys, always place them in the key pouch, it’s easy to find and also easy to store. First-Aid and Survival: Keep a little pouch for contingency supplies that contains- tampons, cotton buds, needle, breath mints, aspirin, any other medication you need and Band-Aids. You never know when you might just need them. Handbag Organizer: They have been built to make handbag storing easier! And we totally recommend it. Keeping in mind all that needs to be stored and how, the handbag organizers practically do half of your work. All you need to do is make sure you keep the things in the same place as they were before. Handbag organizing was never this easy, right? Plus, imagine everything is so organized you can find it one glance. You too can be one of the organized people, when it comes to handbags. 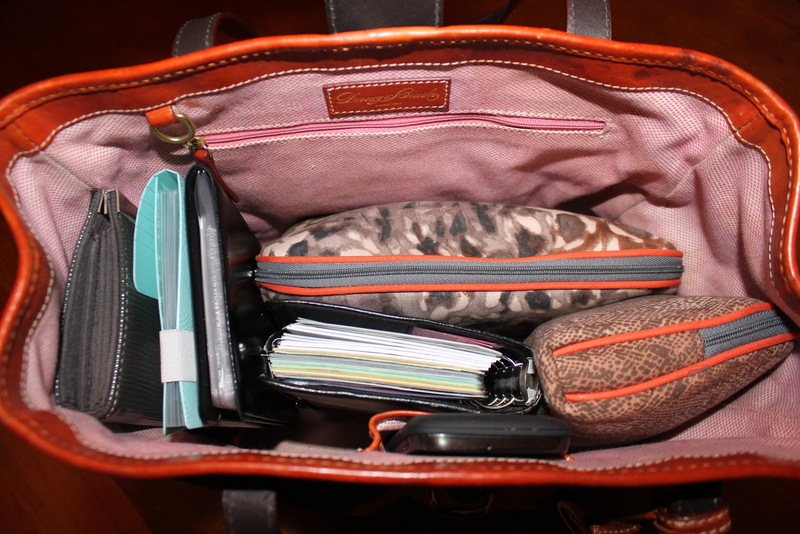 Follow these simple ways to organize handbag and you will walk always with a clean handbag ready to find anything in it.